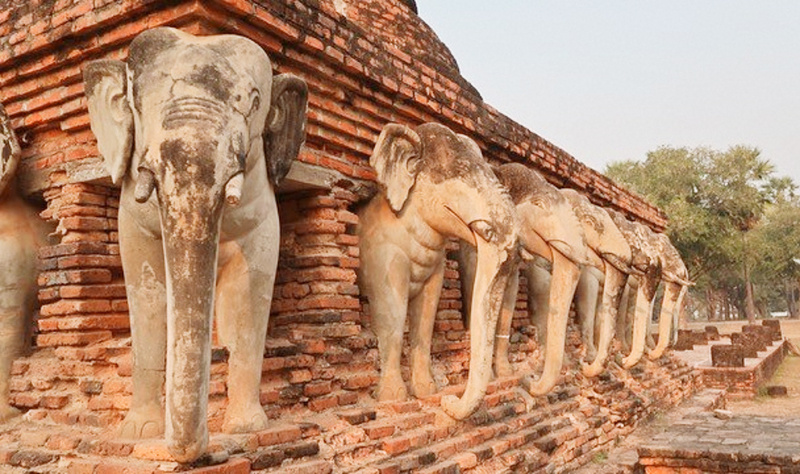 Day 16 — Dansai to Sukhothai. Our best day yet? Our hotel last night will not get many stars on trip advisor! 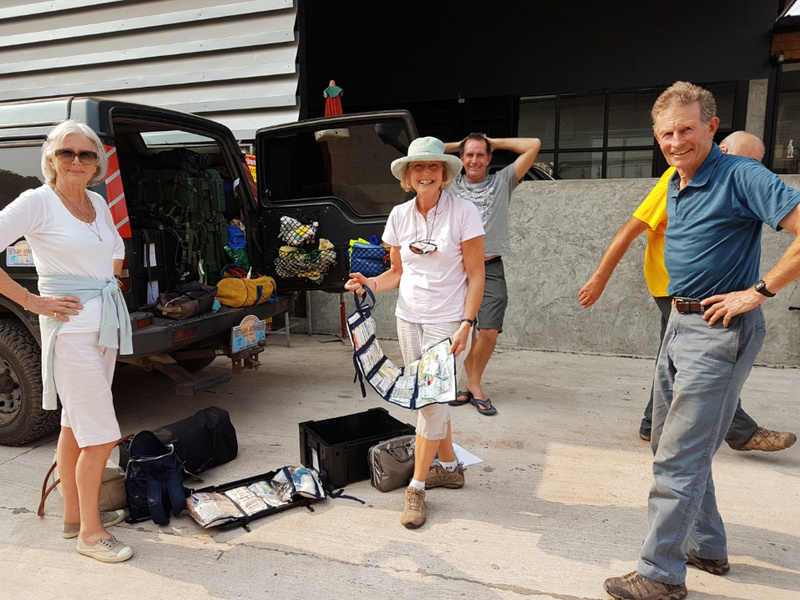 The staff were great but battling adverse circumstances; mainly of the ant variety. Many rooms were infested and alternatives were few and far between. Luggage got lost, rooms were remote from the lobby and restaurant but the shuttle bus broke down on the 200 yard trip. No white wine was a difficult problem to overcome and then breakfast was tricky with eggs and bacon cooked the night before and cold! So it was a pleasure to get on the road and our first attraction. Near Dansai there is a very narrow canal which is the border with Laos, and you can walk across it. 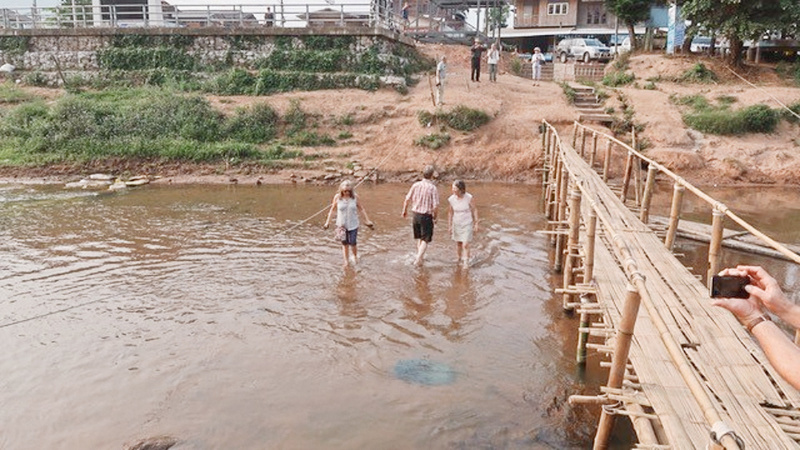 Locals do it all the time, so naturally many of our number eschewed the bamboo bridge and legged it through the water. 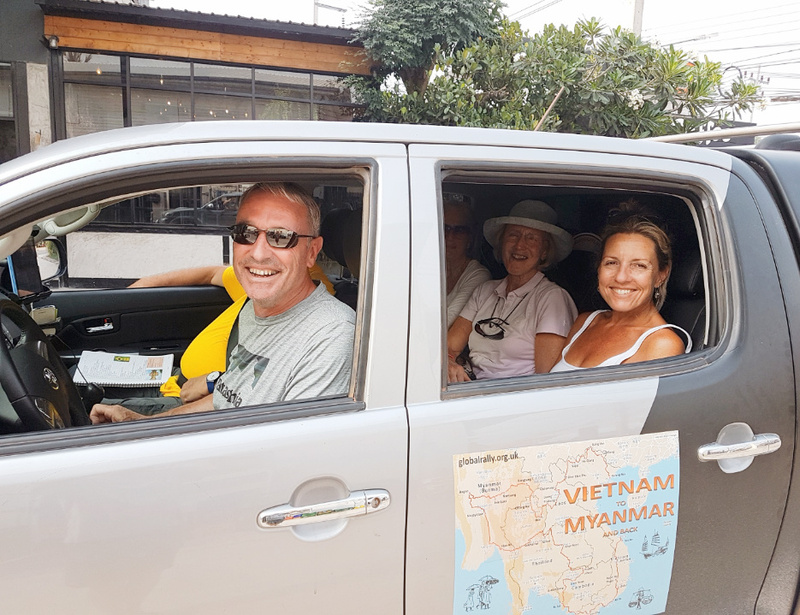 Some even took coffee in Laos before the 5 metre walk back to the cars. We didn’t even need passports! Then we hit the road and what a road? We wound our way up steep valley sides through a series of tight bends, some hairpin, some sweeping and constant radius until we descended the other side with the same driving rhythm. If we said there were a hundred ascents and descents, it might be an exaggeration, but not by much. 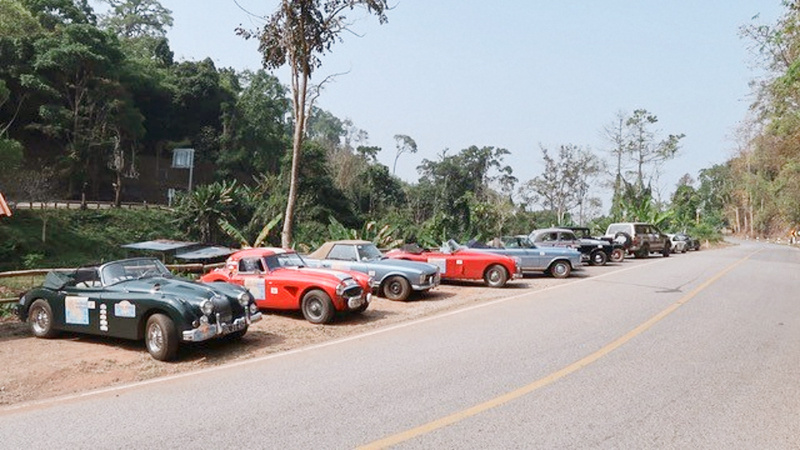 It was a driver’s paradise and the navigation was negligible for the first 175 kms. On top of that, the road was empty. No traffic at all. The occasional small village provided an excuse to slow down for a couple of minutes but otherwise we had the road to ourselves. Oh, and did I mention that a lot of the road was new tarmac. 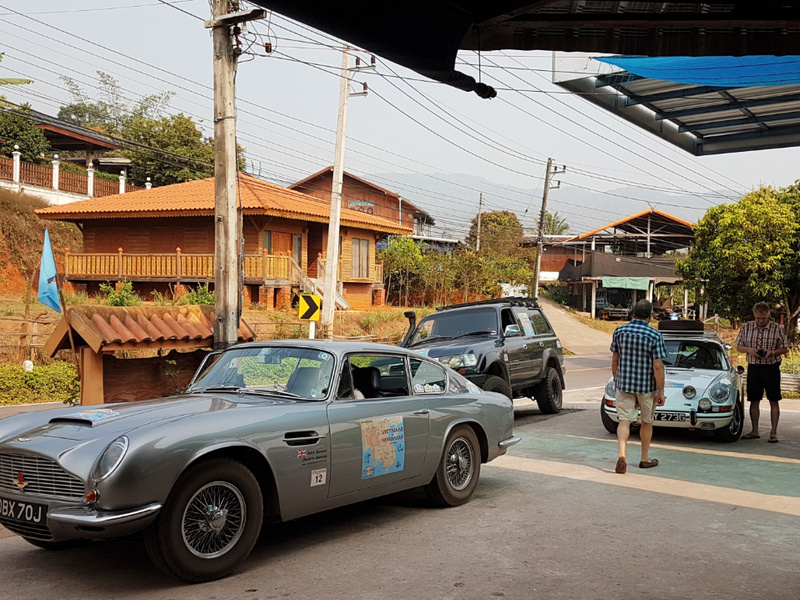 In the deepest wilds of Thailand, hard up against the Loas border, the road surface was better than Berkshire, except for a couple of bumpy bits that reminded us of Gloucestershire potholes. 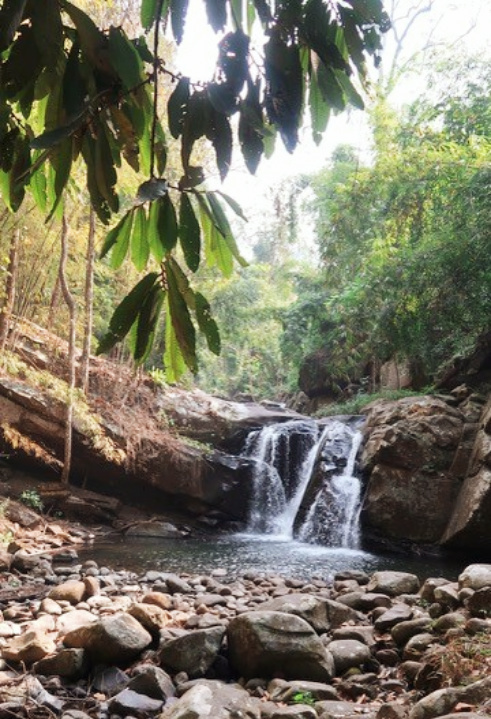 We took a short break along the road at the Phu Soi Dao National Park to admire the waterfall. 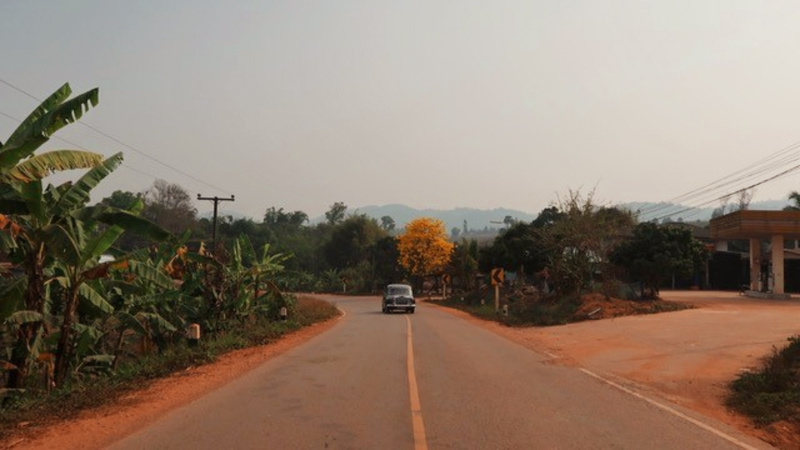 This part of Thailand is high, and the vegetation lush and green, so the views along the road were a pleasure on the eye. 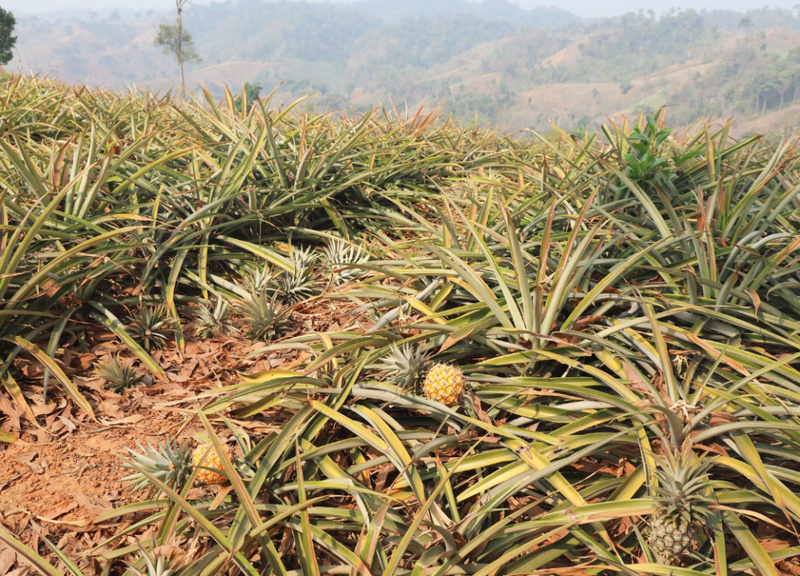 In the valleys the agriculture was mainly fruits, pineapple and bananas, but we saw lots more besides. At one point, a couple of cars were pulled over by the police at a checkpoint and hand signals seems to indicate that they needed photos as several cops were holding cameras. 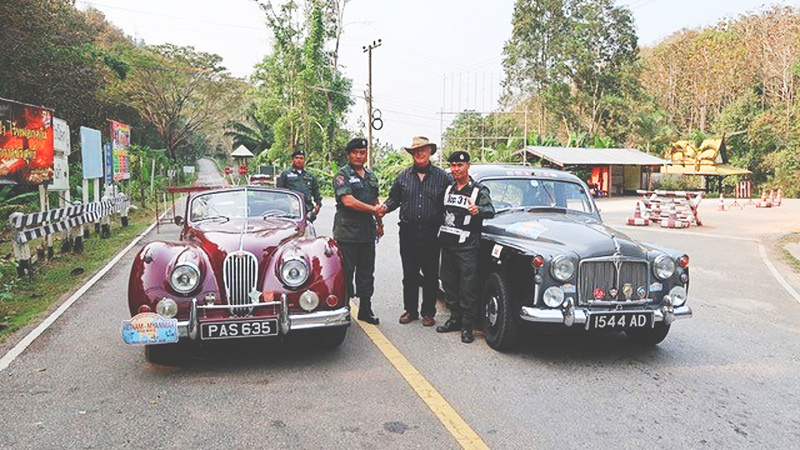 This is a Friendship Rally and the Police could not have been more polite. It was also somewhere along this road that we passed our half way kilometre. 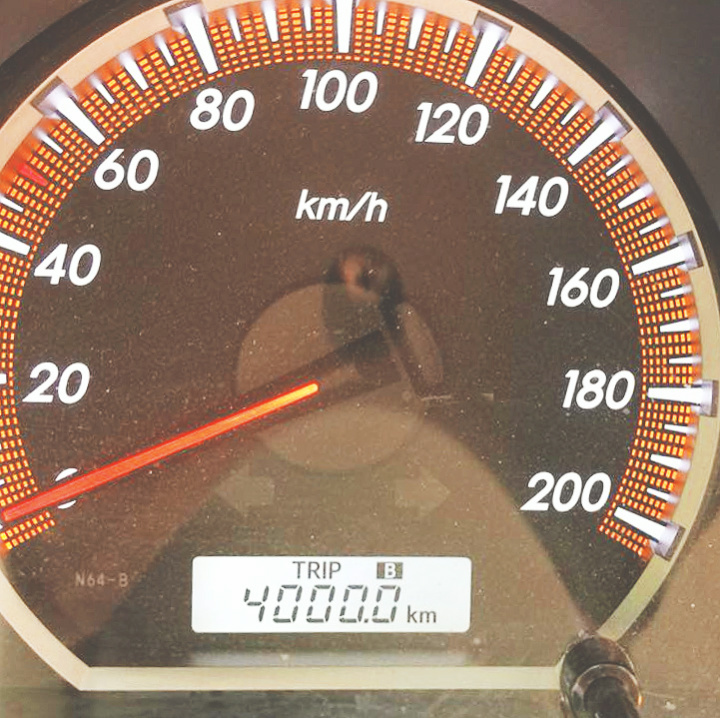 The 4000km point signals we are now on the home straight, if we can call it that with another 4000 still to go! 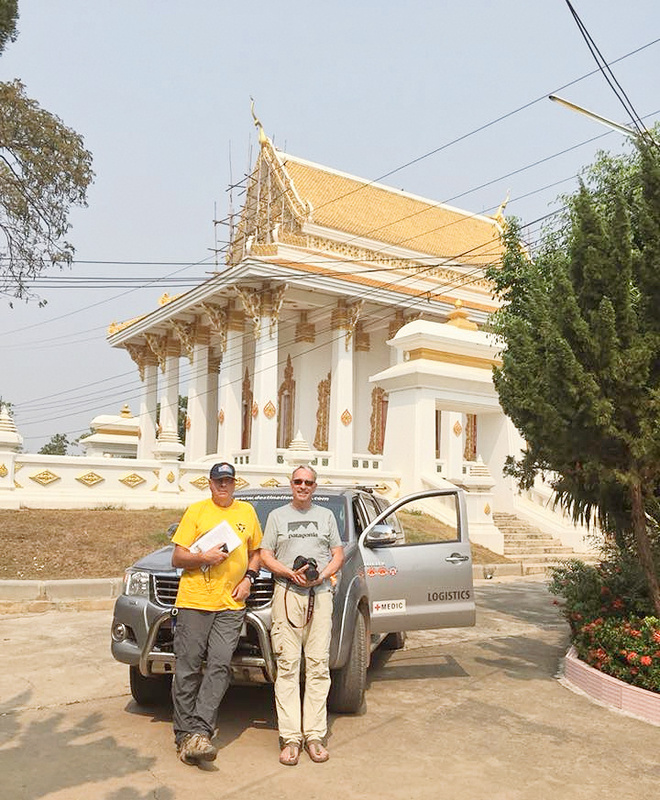 Here Dr Luc and Bruno from Destination Rally celebrate outside a pagoda, and we would again like to say a huge thank you to Bruno our event director and his teams along the way for all their help thus far. We eventually emerged onto a flat top. 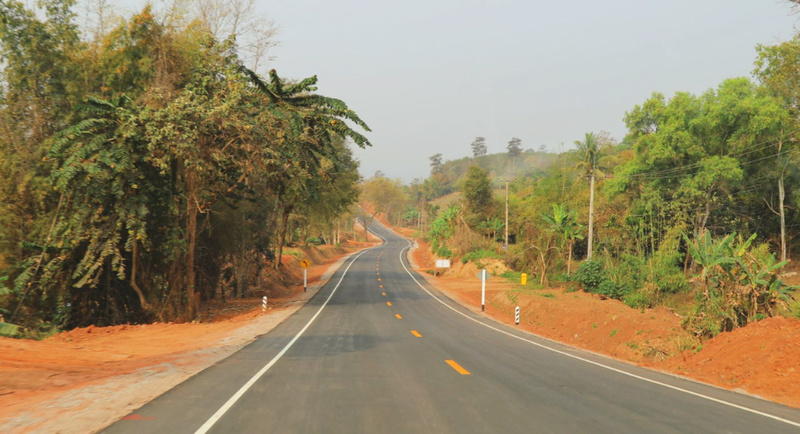 The run into Sukhothai was another 175 kms of long mostly straight roads with next to no traffic. It was a blast and many said that it has been the best day yet. But it was not over. 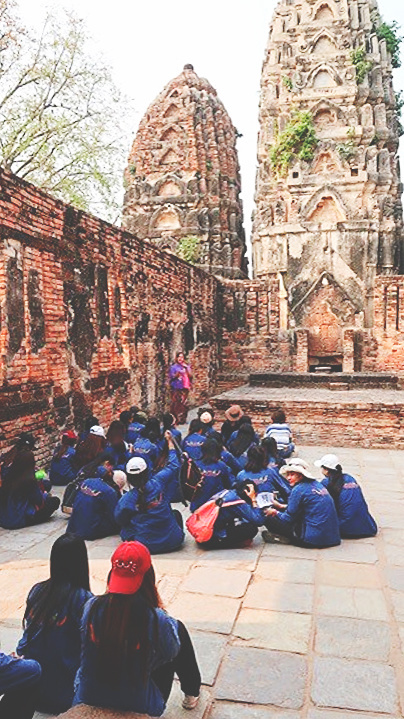 Sukhothai is a Unesco World Heritage site where a huge temple complex has been excavated and partly restored. 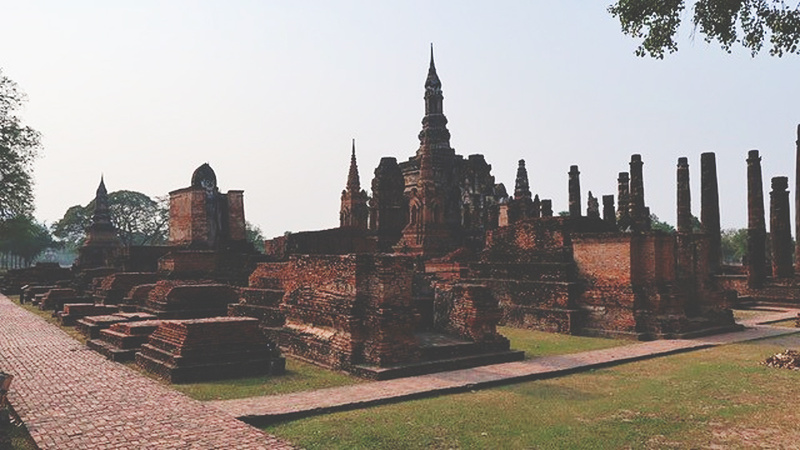 The work is ongoing but the Archoelogical Park contains many temples, ponds and moats from the age when Sukhothai was the Thai capital. 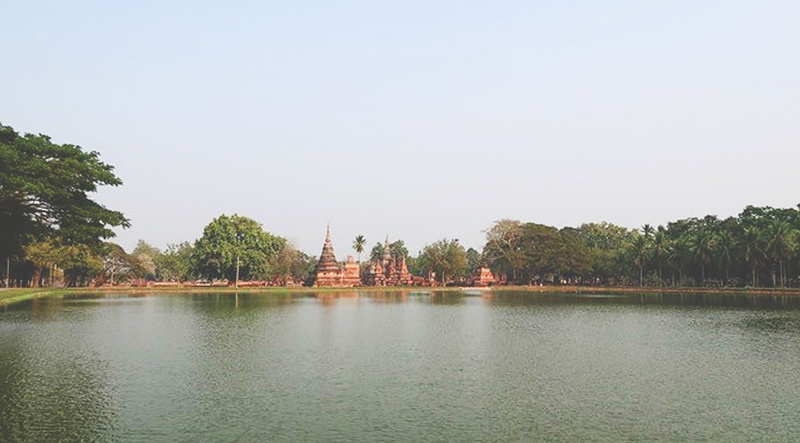 Visits were enjoyed by Tuc Tuc mostly, as the recommended bike ride was a bridge too far after a long days travel. Two bits of bad news. 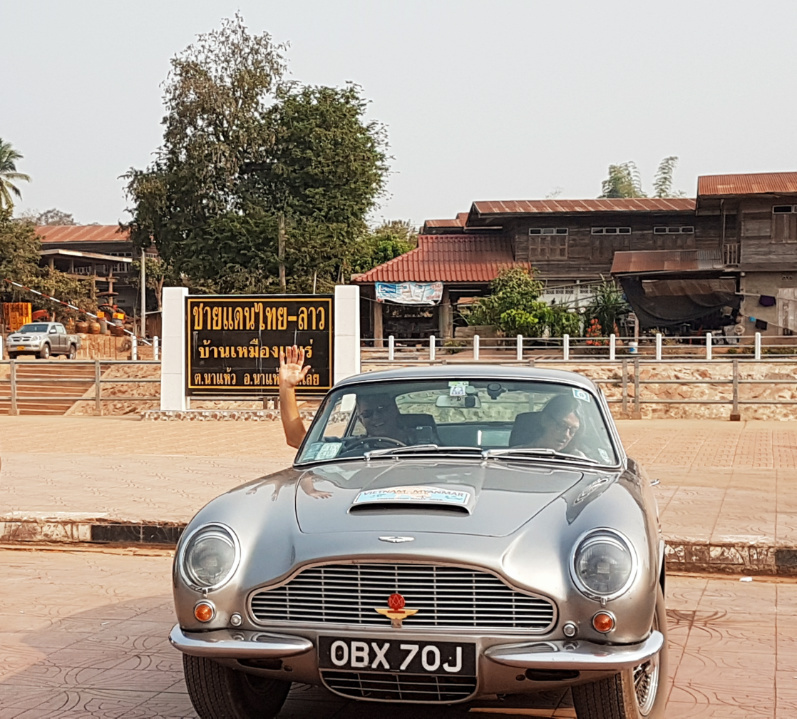 An errant petrol pump attendant put petrol in David and Tessa’s Disco so it arrived in Sukhothai on a flat bed truck to be rescued ready for tomorrow’s drive to Myanmar. And several of our number are feeling a bit dicky so perhaps this morning’s omelette was not a good idea.